Last summer it became clear that we needed better ways to share all the great stories we were seeing and hearing throughout the New England district. Disciples are being made. Churches are being planted. New leaders are being raised up. Facilities are being built. The gospel is impacting our region. God is at work! The need for a new communication platform was evident so we began work to evaluate, re-design, and establish a new communications strategy. The first step was to develop a new brand and logo for our district. Our core mission and strategic plan for New England revolves around a three-pronged approach to building disciples. Our programs, events, and training focus on either a Local, Regional or Global approach to discipleship-making. We wanted our logo to reflect those, as well as the unique aspects of our corner of the world. The circular icon we designed at first glance resembles a globe. The green and blue colors reflect that symbolism, but also represent the oceans and mountains for which New England is so well known. 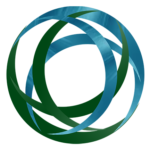 The three intersecting lines (in green and in blue) each embody the local, regional and global strategies we employ. They are unique unto themselves, but they work together to form a complete picture that encompasses us all. Additionally, those lines form a cross. And if you look closely, the blue cross just happens to be located right over the northeastern corner of the globe — our little neck of the woods here in New England. The message of the gospel, the redeeming work of Christ on the cross, is growing and emanating from here. The next phase was to completely overhaul and design a new website for the district. We wanted the new site to incorporate our new branding with a modern and easy-to-use interface. Whether it’s accessing district reports, registering for events, or learning more about any of our development efforts, we wanted the information to be at your fingertips and quickly accessible. One aspect we’re the most excited about with the new site is the launch of this blog. Remember, the whole goal in the beginning was to be able to share the stories of the work God is doing. This blog is how we plan to do that. Whether you see the links in your social media feeds on Facebook or Twitter, receive them via email, or just bookmark this page to regularly check back, we hope that over the coming weeks and months, the posts we share will fill you with hope and excitement about what’s happening in our district. Since I referenced it above, I’ll reiterate it here as well. Check out our new social media presence online! We hope to make these online hubs another avenue to keep our churches and leaders connected and informed. We’ll share photos, post event news and updates, link to our blog stories, and much more. And if you missed something — it’s easy to scroll through our social media feeds to catch up. We hope you are as excited as we are about all of these changes! The feedback we’ve received to date has been positive and encouraging. Keep it coming. And let us know if you have any suggestions for what you’d like to see. Additionally, if you haven’t “liked” and “followed” our social media sites yet, do so now. Then stay tuned… our communications platform is done, and we’re ready to start sharing all the stories of God’s hand at work in our Alliance New England family!